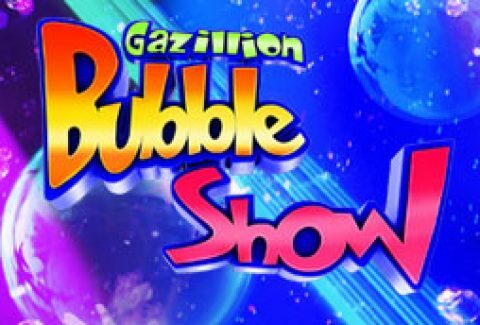 Gazillion Bubble Show is the most unbubblievable show in the world! Bubble lovers of all ages are delighted with an incredibubble experience, awashed with a bubble tide, and perhaps even find themselves INSIDE a bubble. Mind-blowing bubble magic, spectacular laser lighting effects, and momentary soapy masterpieces will make you smile, laugh, and feel like a kid again. You have to experience it to bubblieve it! In addition to seeing the show, Group Birthday Experience packages are also offered to make for an unforgettabubble birthday with a group of 10 or more of your friends and family! When purchasing a package with your group’s tickets, the birthday honoree is guaranteed to go on stage to be a part of the show and the entire group gets a Meet & Greet with the performer, discounts on merchandise, and much more. Birthday honorees must be at least 4 years old.